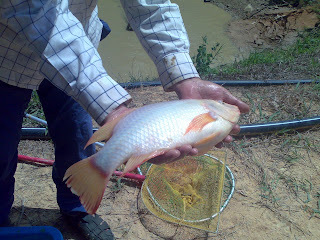 We need to study how to breed fish more successful...last saturday we open one of our pond the result is not as expected. 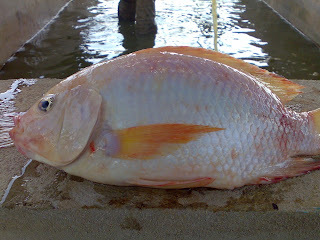 Our fish did not grow to the expected saiz and it breed at a younger age! 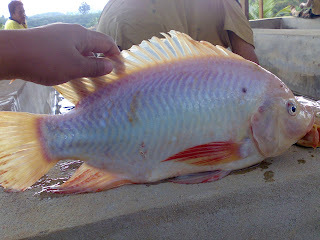 At the size of a hand palm the fish has egg! 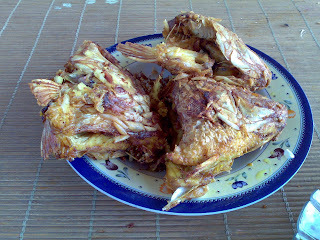 Our tilipia fish grown not bad..up to 2kgs/piece....fried as below very yummy! 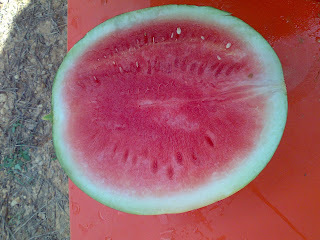 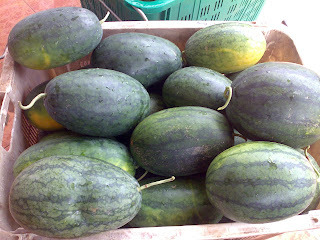 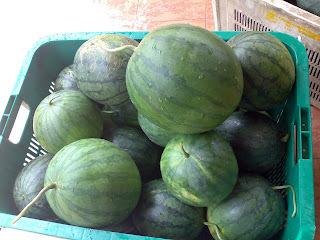 And after all those hard work in the pond and delicious lunch...our red watermelon sure taste very-very sweet....it has be grown using organic fertilizer.